Jane Kershaw from University College London has recently published her book on Viking Identities: Scandinavian Jewellery in England. 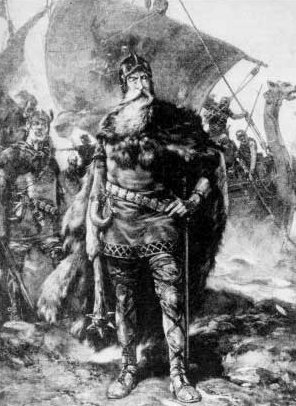 In a post on the Oxford University Press blog, she writes about how over 500 examples of Viking jewellery have been discovered in England. These brooches and pendants worn by women are contributing much to our understanding of the Norse presence in Anglo-Saxon England. 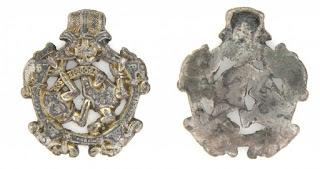 Kershaw writes, "Although Anglo-Saxon women also wore brooches, they were of a very different style to those favoured by Scandinavian women, so it’s clear that the new jewellery finds represent a distinctly ‘foreign’ dress element. 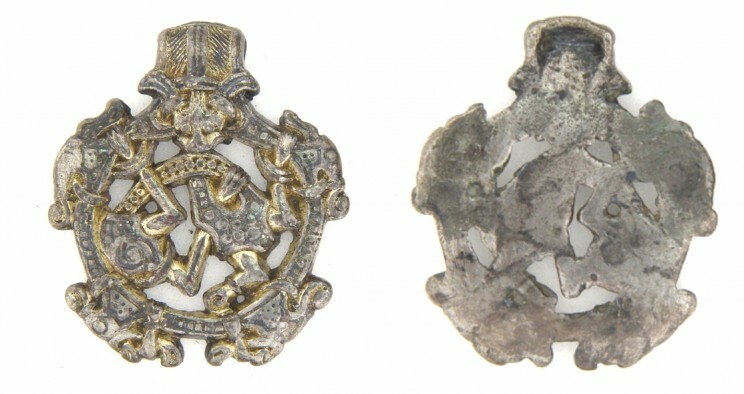 The jewellery being unearthed in England is strikingly similar to that found in Scandinavia, particularly its southern regions: there are disc, trefoil, lozenge, oval, and bird shaped brooches decorated with animals and plants from the Scandinavian art styles of Borre, Jellinge, Mammen and Urnes. Encountering women on a walk around tenth-century Norfolk, you could be forgiven for thinking that you were in Denmark." Karen Schousboe details in Medieval Histories how 162 coins dating from the late tenth century have been discovered in northern Denmark. One of the most interesting finds in this hoard is over fifty coins minted by King Harold Bluetooth (958 – 987). Schousboe writes, "The coins are believed to reflect the conversion of the king in 963 as it is witnessed on the Great Jelling Stone, according to which the king claims to have “ordered this monument made in memory of Gormr, his father, and in memory of Thyrvé, his mother; that Haraldr who won for himself all of Denmark and Norway and made the Danes Christian.” Obviously the coins were meant as part of the king’s effort to market his new religion." First the intended victim would be restrained, face down; next, the shape of an eagle with outstretched wings would be cut into his back. After that, his ribs would be hacked from his spine with an ax, one by one, and the bones and skin on both sides pulled outward to create a pair of “wings” from the man’s back. The victim, it is said, would still be alive at this point to experience the agony of what Turner terms “saline stimulant” — having salt rubbed, quite literally, into his vast wound. After that, his exposed lungs would be pulled out of his body and spread over his “wings,” offering witnesses the sight of a final bird-like “fluttering” as he died.